Reprint. Originally published: New York: Knopf, 1989. "Give me a dollar or I'll spit on you." Meet Bradley Chalkers. He's the oldest child in the class. He tells ENORMOUS lies. He picks fights with girls. The teachers say he has `serious behaviour problems'. And no one likes him ... Except Carla, the new school counsellor. She thinks Bradley is sensitive and generous, and she even enjoys his far-fetched stories. Carla knows that Bradley could change, if only he weren't afraid to try. Sometimes the hardest thing in the world is believing in yourself. 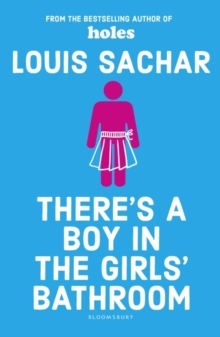 A heartwarming story of isolation, bravery and acceptance from the bestselling author of Holes, Louis Sachar.